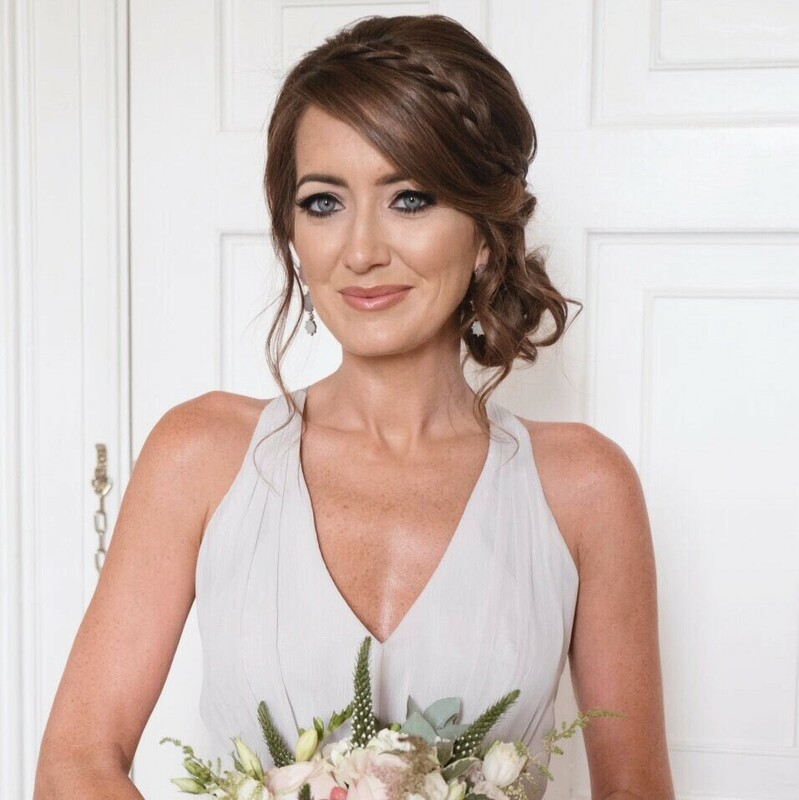 My name is Sinead McGoldrick and I’m a multi-award winning stylist from Dublin. 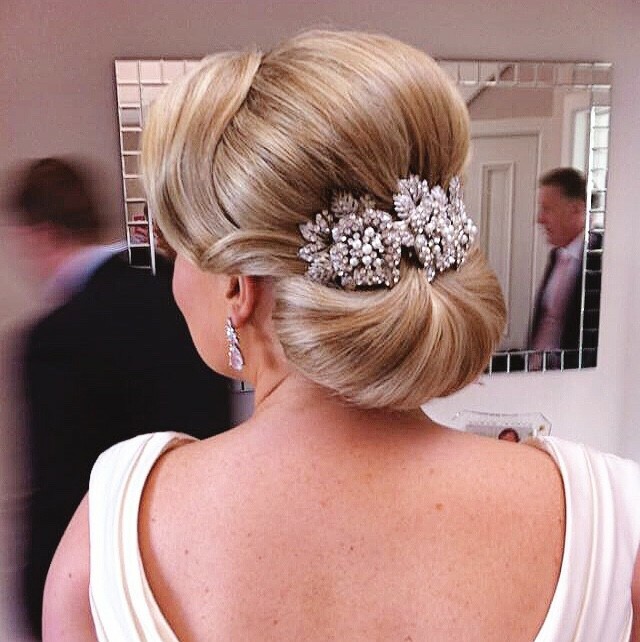 I have 20 years experience in hairdressing and over 10 specialising in wedding hair. My love of hairstyling started many years ago when I worked in a highly competitive salon in Dublin City. I’ve since worked and competed in Paris, Berlin, Moscow and Australia to name a few. Weddings have always been such a passion of mine. I love getting to create a style for the most important day of someones life. 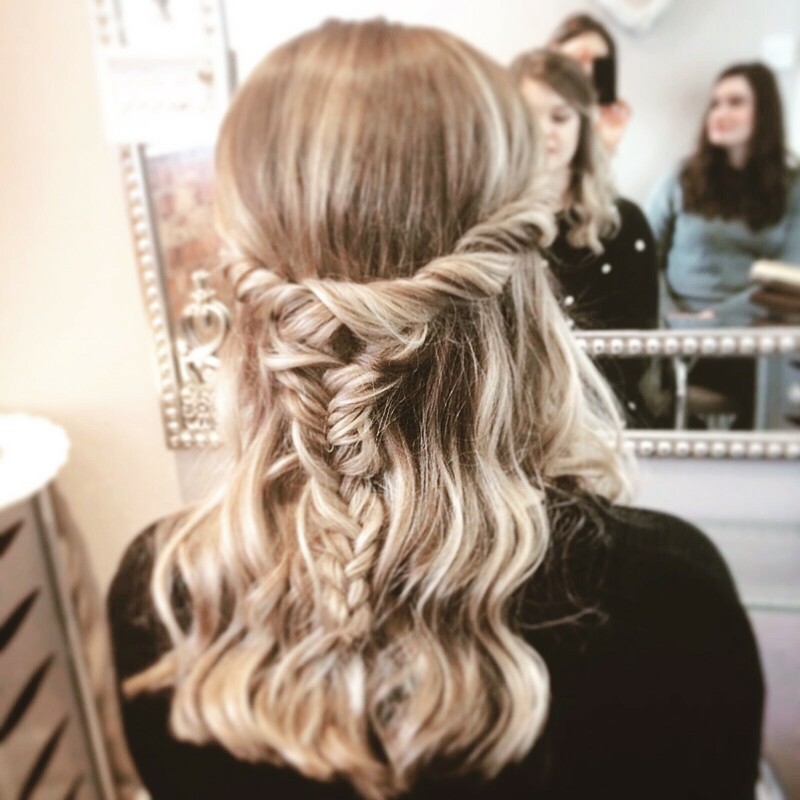 Whether it’s polished high glamour or soft, loose and simple styles you want, I love them all and really enjoy the process of helping someone choose a style they adore. I absolutely love making women feel fabulous and the best version of themselves. On your wedding morning, I will arrive early enough to finish everyone at ease and I will stay with you until your veil/headpiece is perfect and you are ready to leave. Watching everything come together at the end is my favourite part of the whole experience. I really feel that it’s so important to have a calm and relaxed atmosphere on the morning as this will set the tone for the rest of the day. Couldn't have been happier with Sinead. She was so helpful from the first email I sent her her. She was so calm on the morning and I was delighted with how my hair turned out, as was my Mam and the 3 bridesmaids. Couldn't recommend Sinead enough. Sinead was absolutely amazing on the morning of my wedding day. 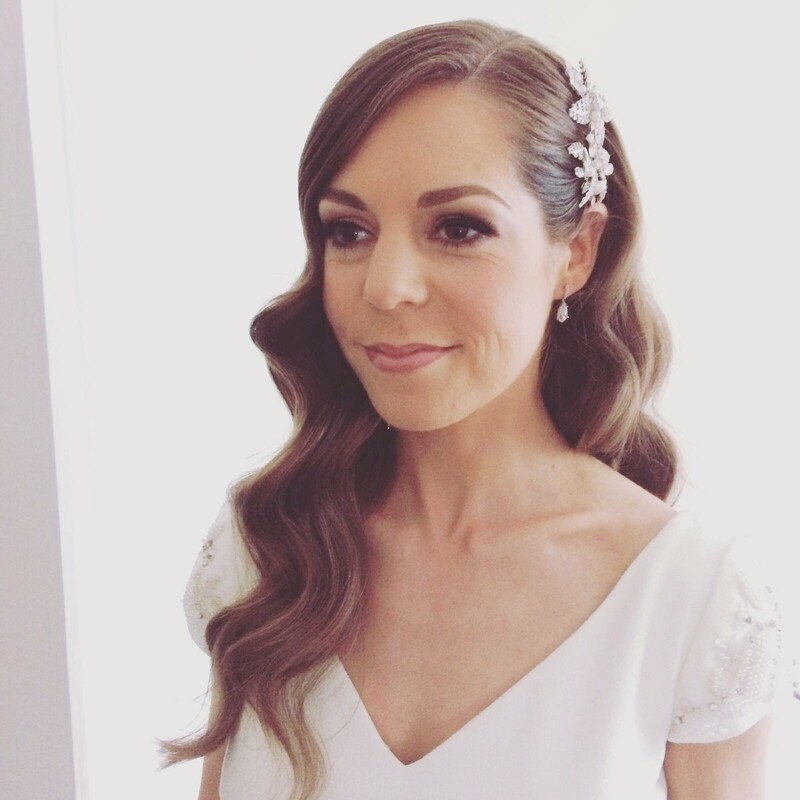 She did an absolutely incredible job, (which I never doubted having done my hair when I was a bridesmaid -I knew i had to have her for my own wedding!) She made myself, my bridesmaids and my Mam feel so comfortable and made everyone look the best version of themselves. She is so down to earth and just a lovely person to have in your house on the morning. Our hair didn’t budge all day or night! We all received so many compliments. I couldn’t recommend you highly enough. I really appreciate all of your hard work, you’re a true professional and it was a pleasure to have you a part of my big day. ???? Sinead was a lovely addition to my wedding morning. She had my hair gorgeous and had my 5 bridesmaids and my Mam all feeling amazing. Would highly recommend her to anyone looking for a hair stylist for their big day. She is a perfectionist and it shows. 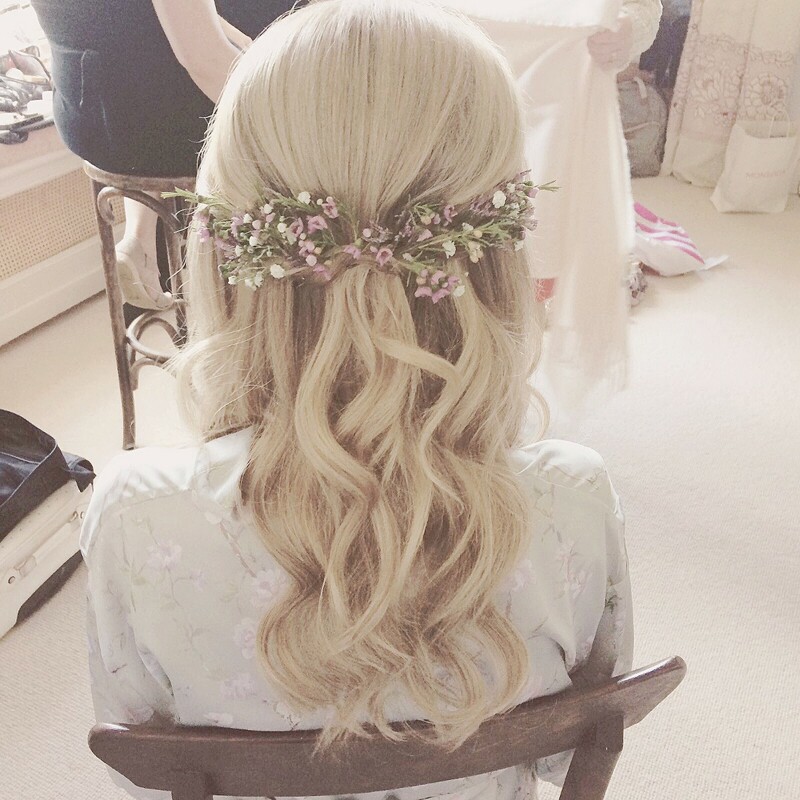 Sinead was my hair stylist for my wedding in June and she was absolutely amazing. Her attention to detail is just outstanding. Not one of us had a hair out of place. We all loved our hair and it lasted all day and all night long. Not only is Sinead amazing at what she does but she makes you feel at easy and is so calm and friendly. Book her for you wedding and you will not be disappointed. Sinead was absolutely fantastic. 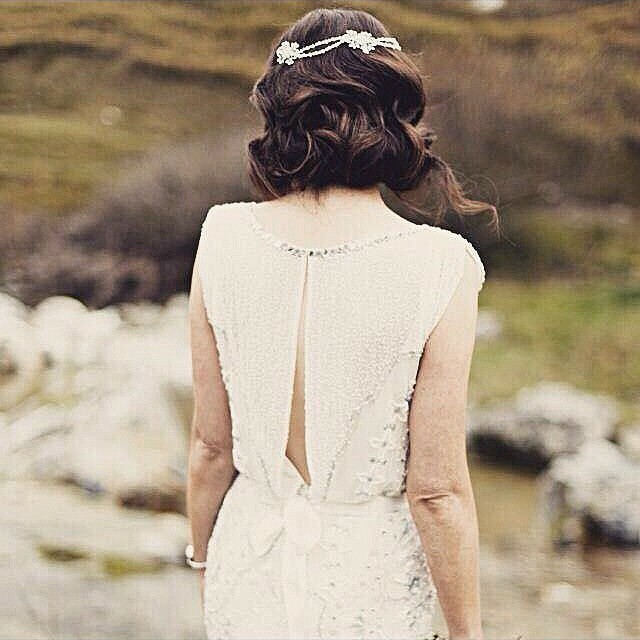 She has all the attributes you want from your wedding hair stylist; highly skilled with loads of patience! I really wasn't sure what I wanted and what I thought I wanted didn't suit my hair at all. During the (two!) trials, Sinead kept trying out slight variations on the style (pony tail) I was going for until I was totally happy. She was incredibly patient and helpful. She is also really skilled. My hair is thick and frizzy and she managed to make it look really smooth and shiny. It stayed perfectly in place all day, despite my request for very little hairspray and product!! I had six bridesmaid with all sorts of hair types and they were all absolutely delighted with their hair. I could not recommend Sinead more. I was so delighted that Snead was free for my wedding day and her work on the day did not disappoint! I would say that my hair was probably top of my list of favorite things from the day! Sinead herself was a dream to have along, a very calming and helpful person to have with you on such a big day. Sinead's skill and ability with hair is a true craft. I couldn't recommend her enough to other brides! Working with Sinead was so relaxed and enjoyable. I was so happy with my hair, it was stunning and everything I wanted and was still perfectly in place at 4.30am after photos in the snow and dancing ALL night! All of my bridal party were stunning and individually so happy with their hair. Sinead worked miracles with my mother and she's never been so happy with her hair! I can't recommend Sinead enough. Such a lovely warm person and so professional and creative. Sinead was the hair stylist for myself and my four bridesmaids. 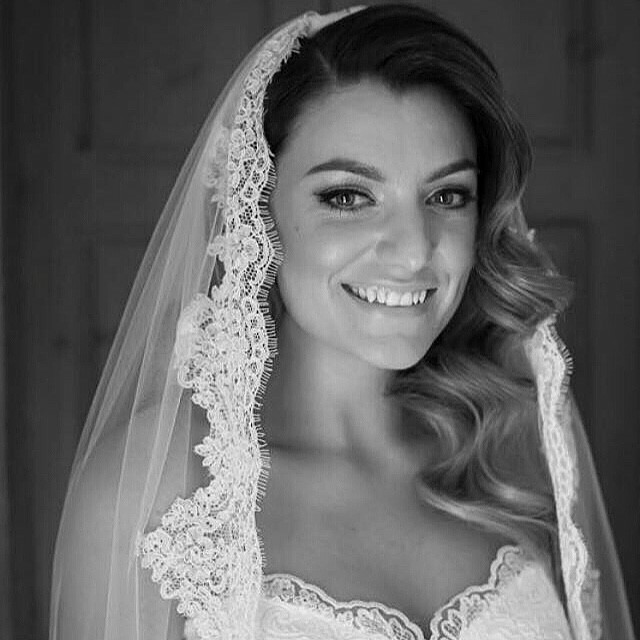 Sinead is a lovely person - very calm and friendly which makes her great addition to your wedding morning when things can be hectic. She is an excellent hair stylist. 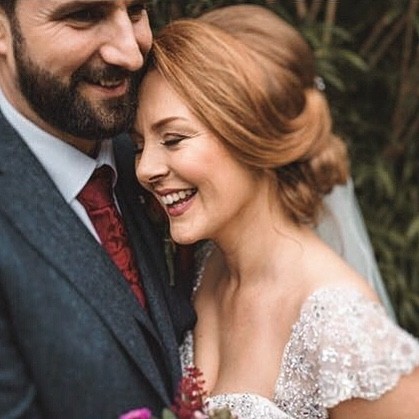 I had a very specific idea for my hair which she created easily in my trial and replicated perfectly on my wedding day. 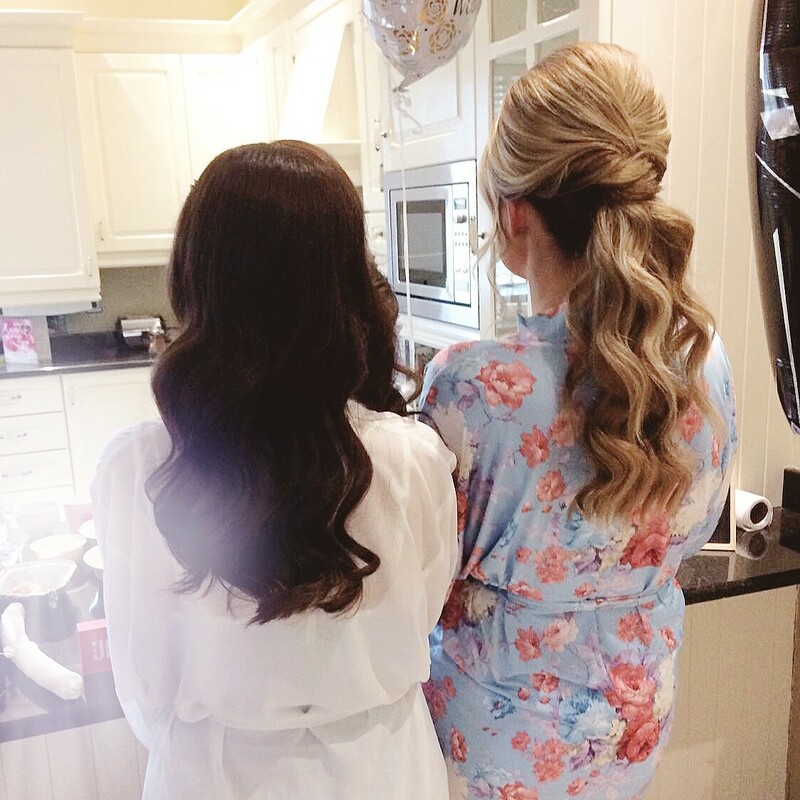 I had told my bridesmaids to pick whatever hair style they wanted so on the day Sinead was asked for four very different styles (back combed half up half down, French braid and upstyle, sleek upstyle and flowy loose curls) she had no problem doing these for the girls and we were all delighted with how our hair turned out. The styles were perfectly intact all day and night and mine even survived my veil being pulled out several times from being stepped on!). When my sister booked her date the first thing she asked me to do was email Sinead and see if she was free which luckily she is so we are looking forward to having her do our hair for another special wedding day. I would have no hesitation in highly recommending Sinead to any bride to be. You will be in reliable and expert hands on the day! Sinead is exceptionally talented and it is an absolute pleasure to be in her company. Sinead is so lovely, easy going and a joy to be around. 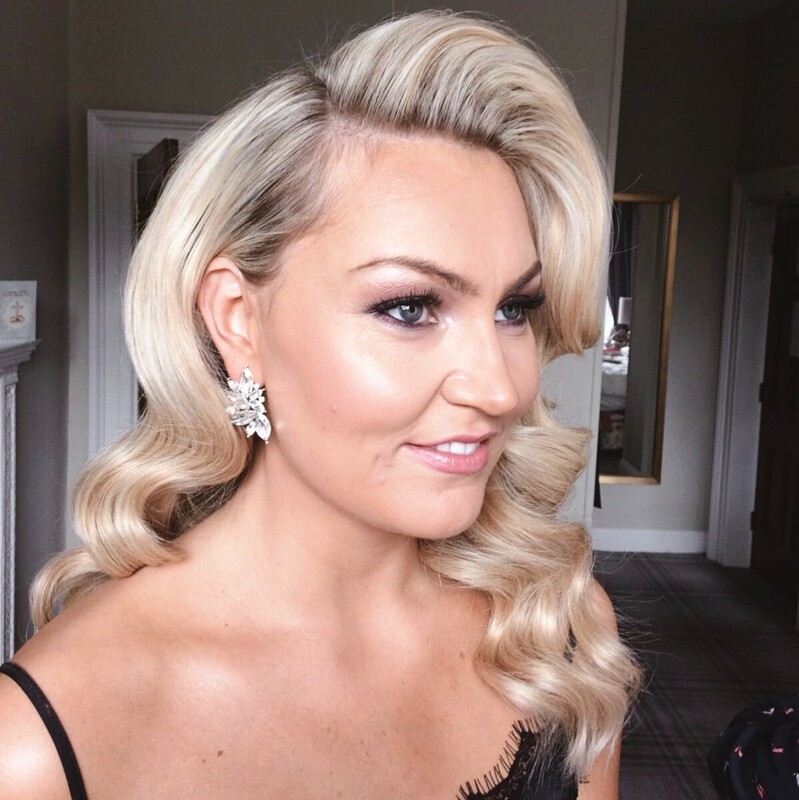 I found it difficult to find a picture of the hair style I had in mind for my wedding day and on the day of my trial, Sinead recreated exactly what I wanted in the first look – her experience and the level of detail she creates is amazing. On the morning of my wedding she was so calm and professional and all five of us were so pleased with our looks - they stayed in place all day and didn’t budge. I cannot recommend Sinead highly enough. Sinead is so professional in everything she does. I had a good few trials as I was so unsure as to what I wanted and she went through so many amazing styles in the hour. On the morning of the wedding itself she was so calm and easy going. Its great to have the vibe in the room! All my bridesmaids LOVED their hair and couldn't believe how amazing they looked. They still tell me to this day what a great find Sinead was. I was so happy with my hair on the day. She is so knowledgeable with styles. hair care. colour. I couldn't have asked for a better hair stylist for the day. The pictures turned out fab and each hair style so unique from the other too! if i had to do it over again id have Sinead no problem and recommend her to everyone! Sinead created a hairstyle that nearly all of my guests commented on. Her vision for my hair was exactly what I wanted and more, I loved it and it really made the whole look come together perfectly. Sinead is lovely to have around on the morning too as she is so calm and you forget she's even there. My mother and sisters loved their hair too, she really was brilliant-a pure talent. I can't recommend Sinead highly enough to any brides out there. If you love "undone" and textured hair, that's not old fashioned, then Sinead is for you. I was so happy when Sinead responded to my email advising she was available on my wedding day. She provided a price list and explained the next steps very clearly. Next was my trial, this was great fun! Sinead had no issues trying out different styles to ensure I was a 100% happy before deciding. 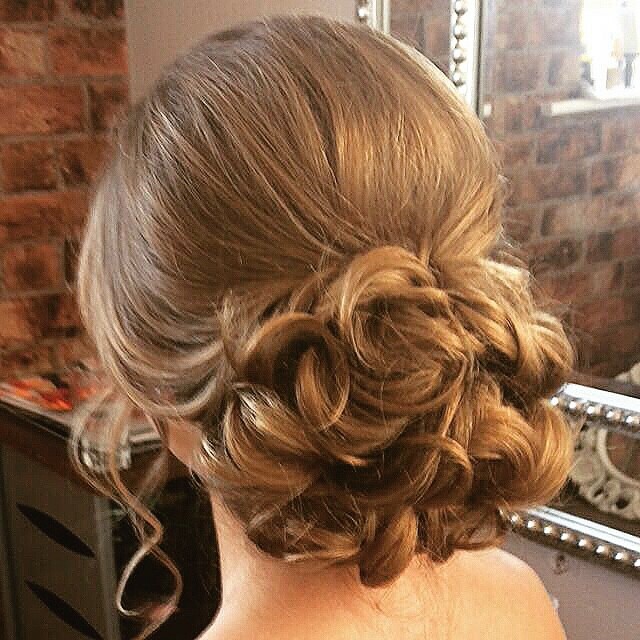 Her attention to detail is second to none, my hair was amazing on my wedding day, I couldn't have been happier! Besides her talent she was a fantastic person to have around the morning of our wedding, such a friendly person whilst also being 100% professional and calm. I really cant recommend her enough. Thanks for everything Sinead! I cannot recommend Sinead highly enough.. a lovely girl and an absolute magician when it comes to hair.. on my trial she made me feel so relaxed as we tried different styles.. had decided to leave hair down originally but on the day I changed my mind and wanted an upstyle t suit the dress-the result was beyond beautiful and have received so many compliments and people started bringing my hairstyle t hairdressers to reinvent... but none could compare t Sinead.. the bridesmaids and my mams hair were equally as stunning.. she’s a natural and a true professional that’s gifted to her fingertips.. no one can touch this girl when it comes to hair styling.. was so so privileged to be one of her clients.. 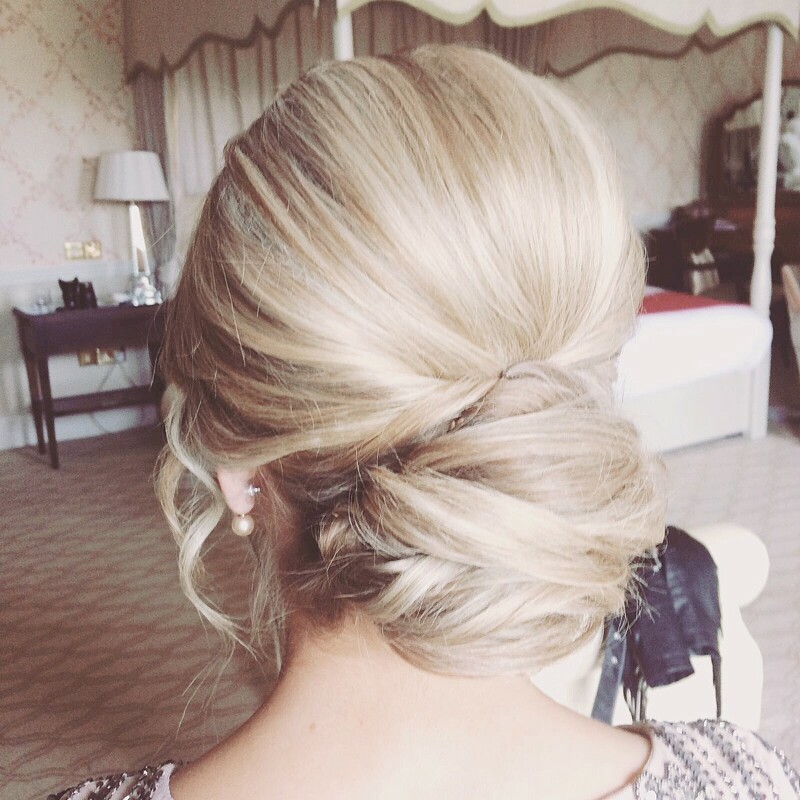 I remember gong for my hair trial and being completely blown away by the different styles sinead could do in a matter of minutes. I was unsure what I wanted so wanted to see a few styles and can honestly say I loved them all! Sinead helped me pick a great upstyle that I loved! The morning of my wedding was so relaxed and I put a lot of that down to sinead. She helped create a wonderful atmosphere and we all had a wonderful time getting pampered. Sinead went above and beyond the morning of my wedding, helping with non hair related tasks too!! She was so relaxed and had everyone looking and feeling amazing in plenty of time. My hair was perfect for the whole day and night, everyone commented on how great it looked even in the early hours! And all my bridal party Felt the same. She truly is so gifted at what she does and was a wonderful addition to my wedding day.